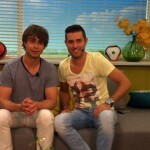 NEW music-video by Alexander Rybak! Alexander filmed the music-video for his new song, “Into a Fantasy” in some of the most beautiful landscapes of Norway. 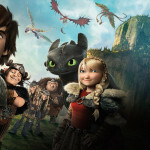 “Into a Fantasy” is a part of the official soundtrack of the motion-picture “How to Train your Dragon 2” from Dreamworks Animation. The movie will premiere in cinemas allover the world, starting from June 12th, 2014 and Alexanders song will be part of the movie-soundtrack in Scandinavia, Russia and most European countries. 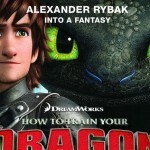 In the Norwegain version of “How to Train your Dragon 2” – “Dragetreneren 2”, Alexander makes voice-dub for the main character of the movie, the young Viking, Hiccup. The digital version of “Into a Fantasy” is available on iTunes in most countries. “Into a Fantasy” is very well. I look forward to your next song. This song is so heart touching! Thank you, Alex for making all of your songs so precious! Anytime, I listen to your songs; I want to burst in tears. Even my almost 5 year old son loves your songs. When I turn on CD with your songs, he says: ” Mom where is Sasha, I want to see him”. It’s nice how he recognizes your voice without seeing your face. You are so special!!! you are the most talented person I have ever seen not only because of your awe- inspiring songs but your beautiful and sparkling smiles. when ever sth bad happens for me I remember your character and soon I am happy.I do not know how to describe my feelings but I have to say you are the best singer ever and ever. by the way you look so cute. hello Sina I am iranian too.I am really surprised that you know Alexander. Hi Alexander. I’m an Iranian teenager ( Iran is country in Asia hope you know where it is ) who really loves you and enjoys listening your tracks. by listening your musics i just got interested in violon and i want to be trained . keep singing super artisit. Wow! Den er virkelig fantastisk! Må se denne filmen, aldri for gammel for slikt, eller hva? 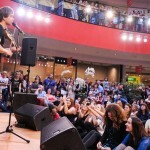 Alexander your songs are great they really make me full of joy thanks for your great work . Wish you luck & congratulations for your new song it’s great . Love it . Thanks !!! marvelous song ! bravo alexander ! you’re the best. It’s always a joy to discover one of your new song ! beautiful pictures, beautiful melody, beautiful people. very very very goooooood job ! thank you again. Alexander, congratulations … I just saw your new video … and this as good as all your videos … Thanks for letting us be part of your accomplishments … a hug from Bolivia Rodrigo fondly.